This coin was minted in Ephesus, a city of great importance to the ancient Greeks and home to the famed Temple of Artemis, one of the Seven Wonders of the Ancient World. 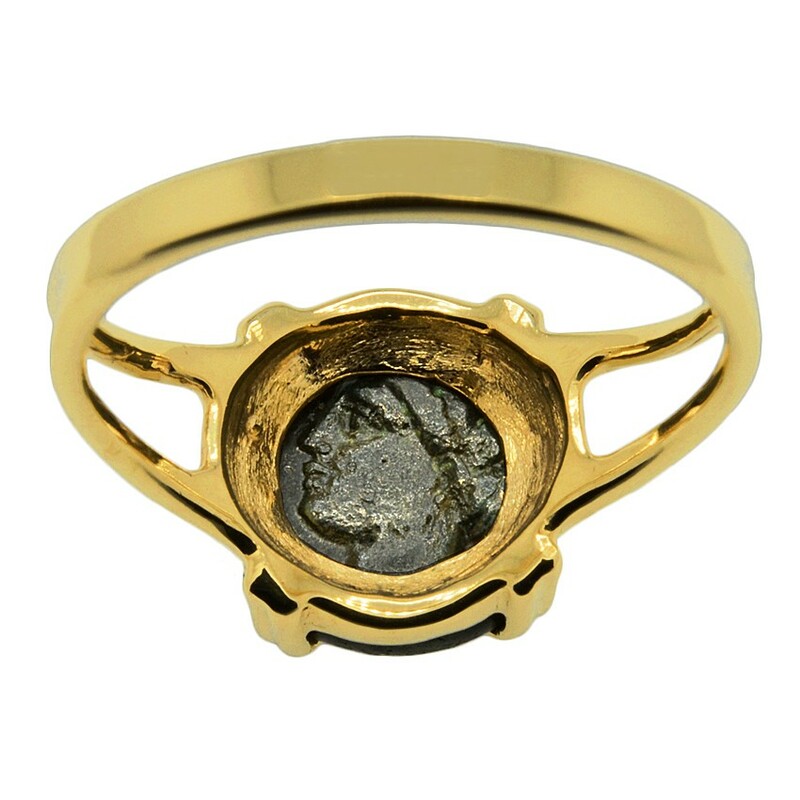 In Greek mythology, Artemis was one of the most widely admired and worshiped of all the Ancient Greek deities. She was the goddess of all women, with a particular focus on childbirth. 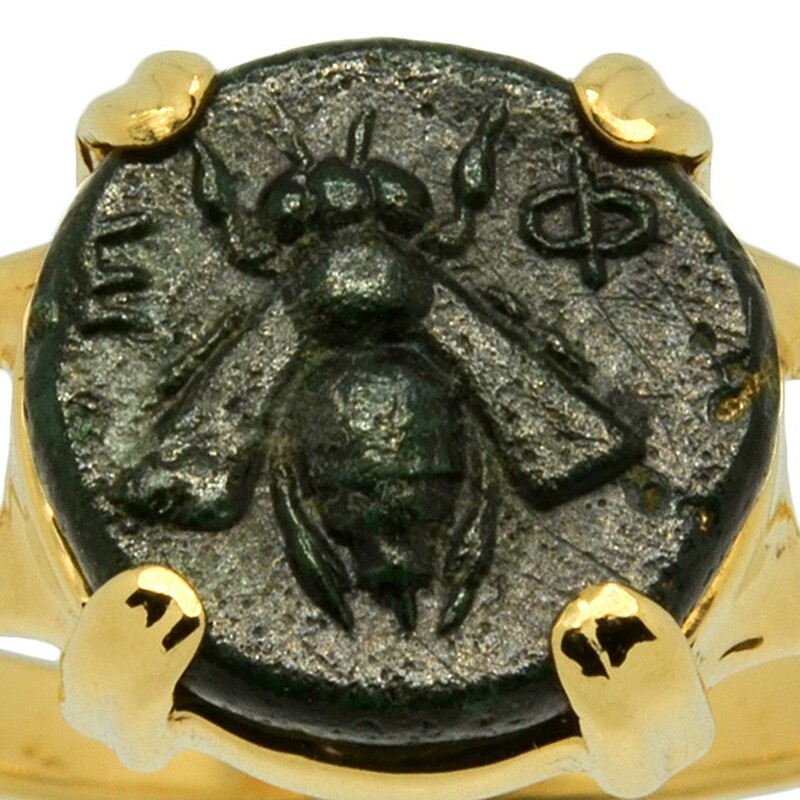 The Greeks believed the bee was the sacred insect that bridged the natural world to the afterlife. Beehives were used as tomb decorations and some tombs were even shaped as beehives. 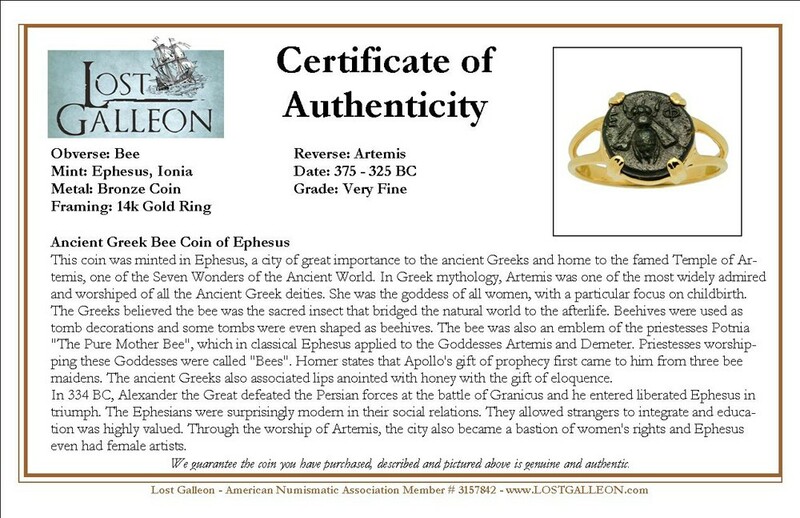 The bee was also an emblem of the priestesses Potnia "The Pure Mother Bee", which in classical Ephesus applied to the Goddesses Artemis and Demeter. Priestesses worshipping these Goddesses were called "Bees". 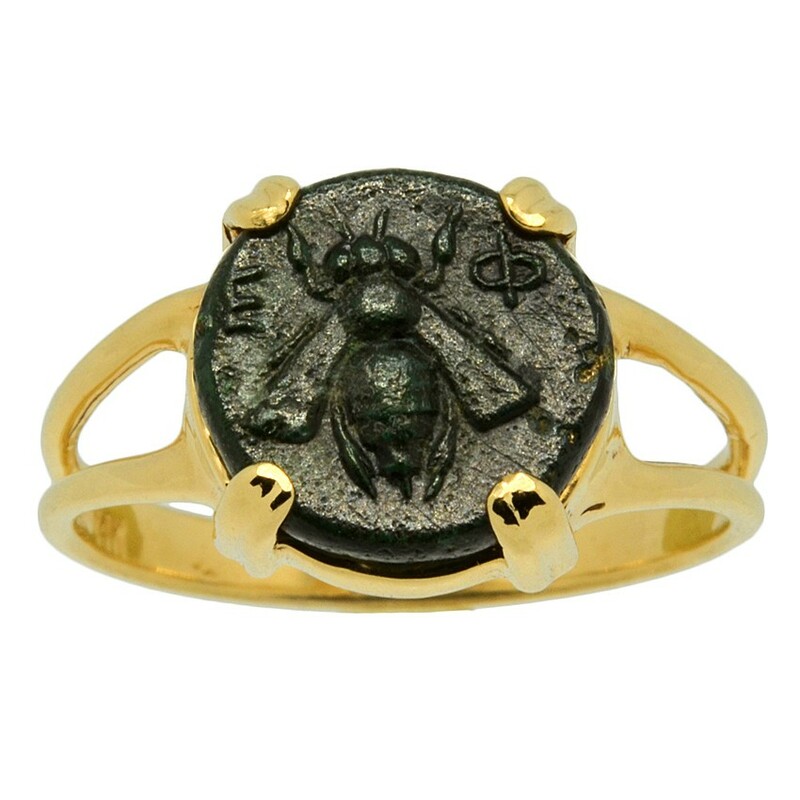 Homer states that Apollo's gift of prophecy first came to him from three bee maidens. The ancient Greeks also associated lips anointed with honey with the gift of eloquence. In 334 BC, Alexander the Great defeated the Persian forces at the battle of Granicus and he entered liberated Ephesus in triumph. The Ephesians were surprisingly modern in their social relations. They allowed strangers to integrate and education was highly valued. Through the worship of Artemis, the city also became a bastion of women's rights and Ephesus even had female artists.